My friends, here we are on the eve of yet another Election Day. 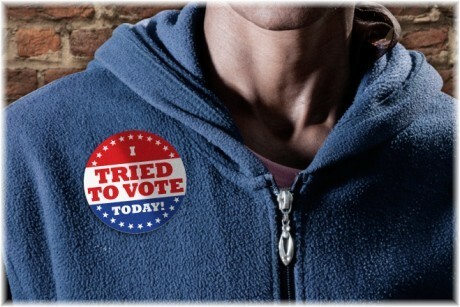 This Election Day, like many before it, has been touted by many as “the most important Election Day …” and guess what? Each claim has been correct in accordance to the condition of these United States of America at any particular moment in time. In fact, there were some elections that turned out to be “most important” in hindsight – each Presidential election this millennium has been extremely important. I am reminded of the well-known experiment of the frog in the boiling pot of water: If you place the frog in boiling water, it will immediately and instinctively jump out as an obvious measure of self- preservation. Place the same frog in a pot of water and turn up the heat incrementally? The frog is boiled alive in the pot. 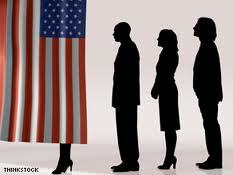 The heat of new voter suppression tactics became noticeable with the activity surrounding the election of 2000 and each subsequent election. In 2000 Florida’s “hanging chads” made it hot! In 2004? The denial of more than 5.3 MILLION Americans who had previous felony convictions made things a little hotter. In 2008? More than 98,000 registered Georgia voters were removed from the roll of eligible voters because of a computer mismatch … making things hotter still. And here we are, the heirs to democracy – on the eve of the 2012 Presidential Election – more nervous than a long tailed cat in a room full of rocking chairs; sweating profusely, insides boiling from the fire, barely able to breathe, hoping against hope that our impressive, albeit last ditch, exercise in early voting pays off. Below you will find a letter from O. Patrick “Pat” Scott, the youngest member of the Baltimore’s famed Goon Squad, still on his “j-o-b”, still arming the community with information explaining what we need to watch for tomorrow. It is obvious part of the letter is partisan but readers who may not agree with Pat’s choice for President should not lose sight of the greater message – the threat to democracy that voter suppression represents. Forgive me for preaching to the choir, but not many people really want to hear this. If our frame of reference is the U.S. Federal Elections of 2000 and 2004, photo ID laws, the campaign of 2012, the catastrophic flooding of the northeastern states, and the national conversion of voting machines to devices that do not provide for recounts, to say the least, then we should expect the worst next Tuesday … Vote Stealing … and not be surprised. Confusion exists due to dislocation caused by the weather or by voter suppression attempts. One party “spins” that their own negative poll results actually reveal how close their candidate is to the other and therefore should be viewed as a “virtual tie”, no matter the margin. Toss-up states are: OH, NH, VA, WI, IA, CO and FL. Leaning states are: MI, MN, PA, OR, NV, and NC. States excluded from detailed exit poll data coverage are: AK, AR, DE, DC, GA, HI, ID, KY, LA, NE, ND, OK, RI, SC, SD, TN, TX, WV, UT, and WY.